Russian President Vladimir Putin’s response to the downing of the Il-20 by Syria was mild in tone, but his reference to a probe in depth and extra security for Russian troops was coldly menacing. This was a bit like a good cop, bad cop routine, except that behind it Putin and Shoigu had almost certainly agreed on the need for hard-hitting measures to curtail the Israeli Air Force’s freedom of operations in and near Syrian skies. Most alarmingly, even though the plane was shot down by a Syrian missile, Israel appears to be in line for a diplomatic clobbering as well, judging by the ominous official comments coming from Moscow on Wednesday: The Russians are launching a criminal probe into the crash, according to an announcement by Russia’s Investigative Committee spokeswoman Svetlana Petrenko. Who is the criminal and what is the crime? That announcement was followed by a tart remark from Kremlin spokesman Dmitri Peshkov that “Israeli data on the Il-20 crash in Syria has not yet arrived.” He added that the Russian president and Israeli Prime Minister had agreed that a delegation of experts led by the Israeli Air Force commander would visit Moscow and bring with him data referring to the circumstances of the crash. “Our experts will certainly study it,” he said. The exact military measures to be taken by Moscow are still to be determined, but an approximate precedent may be indicative. Three years ago, Turkish fighter jets shot down a Russian Su-24M over the Syrian-Turkish frontier, triggering a major crisis between Moscow and Ankara. One of the pilots was killed and the second rescued by Russian special forces. Moscow responded by rushing over the Moskva missile cruiser, armed with S-300F air defense missiles (NATO code: SA-N-6 Grumble), to the waters of northern Syria and southern Turkey. Advanced S-400 anti-air batteries were shipped to the Russian Khmeimim Air Base in Latakia. These measures gave Ankara due notice that any Turkish planes venturing into Syrian air space henceforth did so at their peril. And indeed, up until the present, the S-400s are still in place and the Turkish air force gives Syrian skies a wide berth – excepting only the Afrin enclave north of Aleppo which the Turkish army seized earlier this year. None of this interfered with the efforts of the Russian president and Turkey’s Tayyip Erdogan to build a coalition with Iran for Syria, while pretending that Moscow-Ankara relations were in perfectly good working order. Putin may therefore keep his relations with Netanyahu as cordial as ever before, while, at the same time, we may soon see, in the aftermath of the shooting down of the Ilyushin by Syrian missiles, the arrival in Syria for the first time of Russia’s most advanced air defense and radar systems. Of most concern to Israel is the possible installation of those systems on Tel al-Haara, a peak rising 1,100 meters over Quneitra, which commands Israeli air space over the Golan and its northern regions, as well as northern and central Jordan and the eastern Mediterranean. 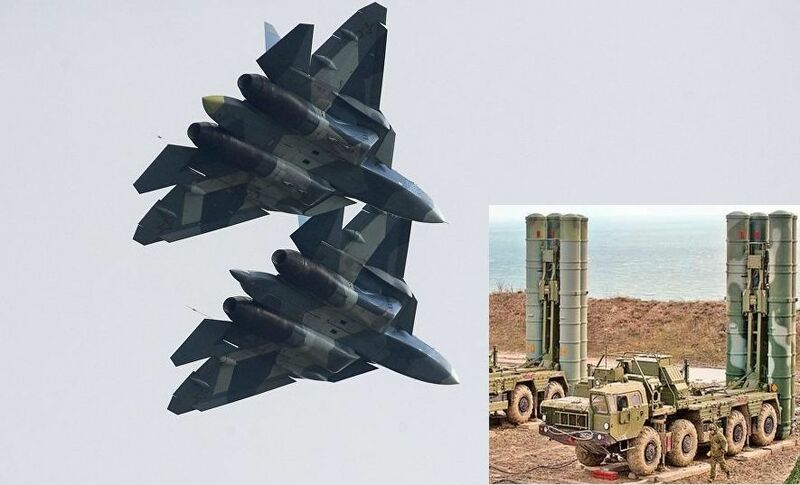 Advanced Russian fighter jets may also be posted to Khmeimim to waylay Israeli warplanes. Our military sources inferred that the Russian envoy was talking about arming Syrian air defenses for the first time with advanced Russian S-300 batteries. Their delivery may well coincide with Moscow’s response to the Il-20 incident. The Israeli Air Force will soon therefore be called on to tackle new and daunting challenges in its operations against Iran in Syria. In Washington, meanwhile, the first question President Donald Trump faced at his joint press conference with the visiting Polish president on Tuesday was this: Has the downing of the Russian plane exacerbated the threat of a military clash between Russia and America in Syria? Trump merely commented laconically that he had heard about a Russian plane being shot down by Syrian missiles; He then moved on to the next question without answering.